The alarms are ringing all around us. The number of acres burned by wildfire in the Lake Tahoe Basin has increased each decade since 1973, including a tenfold increase over the past decade. Eighty percent of the Tahoe Basin forests are now densely and dangerously overgrown. At lower elevations, there are now four times the number of trees compared to historic conditions. Modelling by the Lake Tahoe Basin Management Unit warns that in two thirds of the forest, conditions now exist for flame size and intensity that are explosive. Ever since the last Tahoe Restoration Act expired, a successor bill focusing hundreds of millions of dollars of lake clarity has been introduced in every congressional session since 2009. Not one has moved off the floor of either house, during both Democratic and Republican majorities. 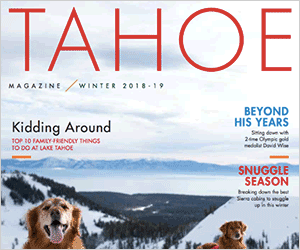 The House measure is specifically designed — after extensive input from fire districts throughout the Tahoe region — to reduce excess fuel loads in the Tahoe Basin before they burn. It streamlines the planning process that has severely hampered past attempts at forest management. It calls for new revenues generated within the Tahoe Basin to stay in the Tahoe Basin for environmental improvements. It also augments efforts to protect the lake from invasive species that have already devastated many other lakes in the West. 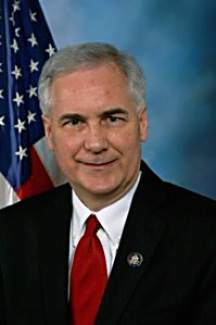 Congressman Tom McClintock represents California’s 4th District, which comprises portions of the counties of Nevada (including Truckee), Placer, El Dorado, Amador, Calaveras, Alpine, Tuolumne and Mariposa, and the eastern Madera and eastern Fresno counties.